Choose the color of the pencil lead in the drop-down. Some original and fun earrings, which also can be very useful, because they really paint! 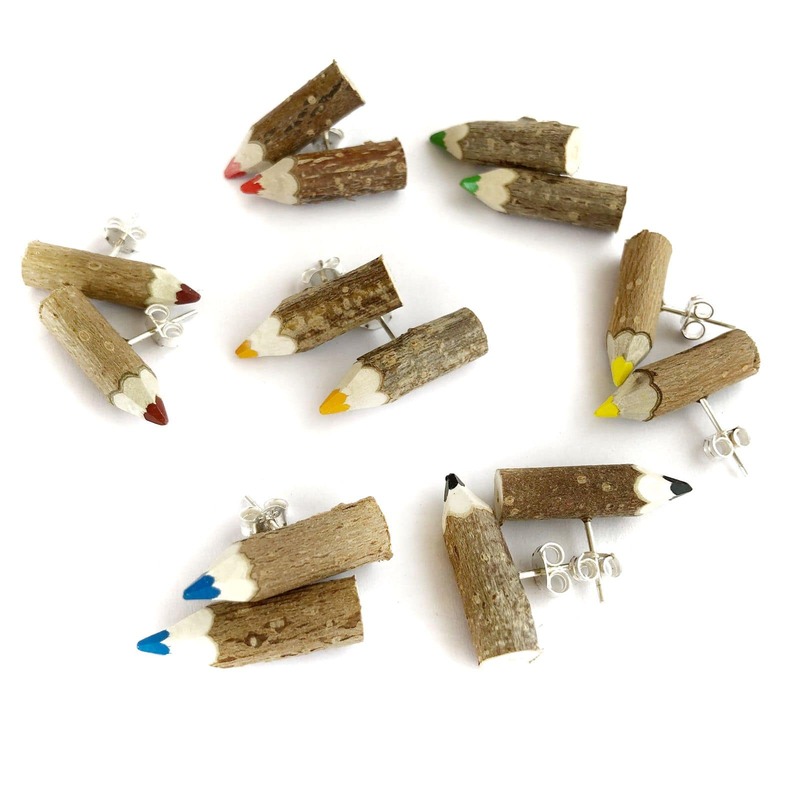 Pencil earrings made in a completely handmade way. They are made from hazel branches collected by us. Stud earrings with silver butterfly clutch. They are finished in natural wood, they are very light and comfortable to wear. There is a wide variety of colors available and they can also be sharpen. Dimensions: Diameter between 6 and 10mm, 20mm long.